But from the rubble there is a glimmer of hope! Irem have also announced their first foray into the 3D arena with a title for the Nintendo 3DS. 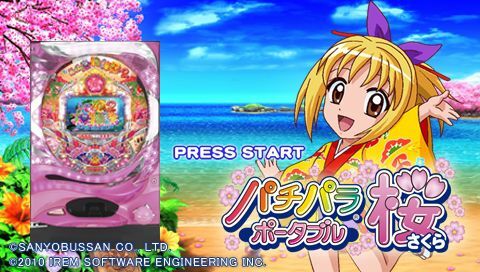 The game looks set to be called Pachipara 3D, which is a Pachinko inspired style of gameplay. Pachinko is an extremely popular game in Japan where they even have massive Pachinko arcades filled with hundreds of Pachinko machines. The machines themselves have exclusive licenses with animes, mangas, video games and movies to try and draw the people in to play them. Clip below of a Pachinko in action, I’ve been inside one of these arcades in Japan and they are extremely deafening!! The screen below is from the PSP game as there aren’t any 3DS shots yet but the game should remain the same apart from the obvious inclusion of the 3D.